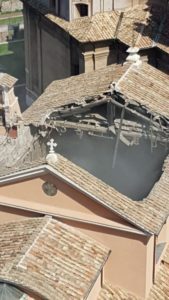 The roof of the church of San Giuseppe dei Falegnami (Saint Joseph of the Carpenters) collapsed on Thursday afternoon, reducing to rubble one of the most beautiful original parts of the church: the wooden coffered ceiling built in the 1600s. It was the central vault which weakened and took the roof down. San Giuseppe was built by the guild of carpenters starting in 1597. It was completed in 1663. The facade and apse were redone in an extensive 1886 renovation. Today the church suffers from structural issues (to state the obvious) and is mostly closed to the public during regular hours. The church was built over another church, San Pietro in Carcere, which in turn was built over (and named after) the Mamertine Prison. Known in antiquity as the Tullianum, it is one of Rome’s most ancient prisons. Legend has it that it was built by the fourth king of Rome, Ancus Marcius, in the 7th century B.C. ; its factual history can be traced back to the later Republican era when a variety of rebels, pretenders, usurpers and individuals deemed enemies of the Senate and the People of Rome were imprisoned there. Gallic leader Vercingetorix withered away to nothing in the Tullianum before being executed at Julius Caesar’s triumph. Jugurtha, King of Numidia, starved to death in that dank hole. Both Saint Peter and Saint Paul did bids there before their martyrdoms. Located steps from the Capitoline overlooking some of Rome’s most iconic ancient marvels, the church makes an evocative setting for photographs and is an extremely popular wedding venue today, structural problems notwithstanding. Two were scheduled for this weekend, in fact. The timing of the roof collapse is therefore as fortunate as a tragedy can be. Only the priest was on site at the time, and he was taking siesta in his quarters so wasn’t in the church itself. First responders arrived immediately after the collapse, alerted by the enormous boom and the column of smoke. Staff and visitors to the Mamertine were briskly removed and there were no injuries. The firefighters’ preliminary estimates are that three quarters of the roof came down in the collapse and they have a crane up right now taking down the remnants that are in imminent danger of falling. Basically, by the time the situation is stabilized, there isn’t going to be a roof to speak of. 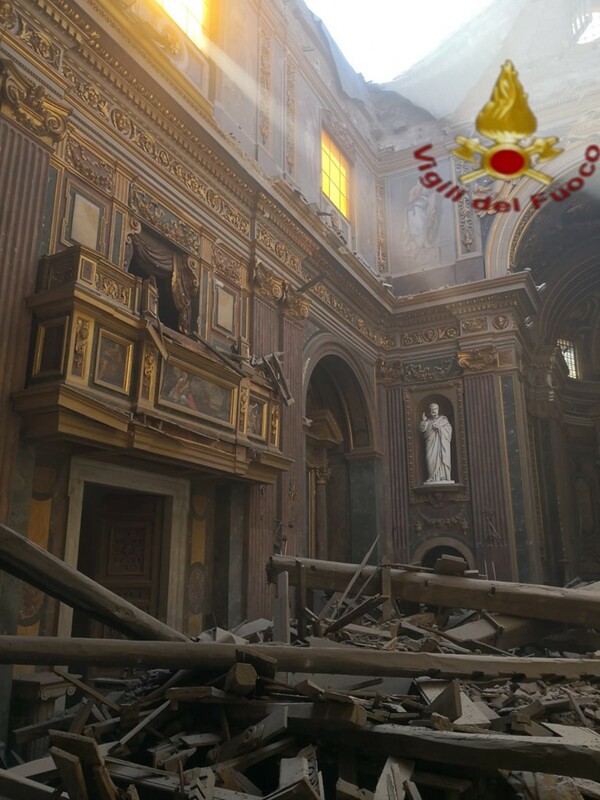 The damage to the interior of the church is impossible to assess right now. It’s engulfed in massive broken beams and debris. No damage to San Pietro in Carcere or to the ancient Mamertine underground is known, but there has been a report of damage to a chapel adjacent to the prison. When an olive farmer in the village of Kentri near Ierapetra, southeast Crete, parked his truck in the shade of one his olive trees, the ground, oversaturated by a leaky irrigation pipe, retreated under its tires. Don’t worry. No harm came to the truck. 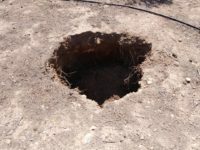 A four-foot pit opened up underneath it is all, and when the farmer peered inside, he realized he and his truck had just made an archaeological discovery. He alerted the Lassithi Ephorate of Antiquities, the local heritage ministry, and they dispatched a team to do an emergency archaeological excavation of the pit. 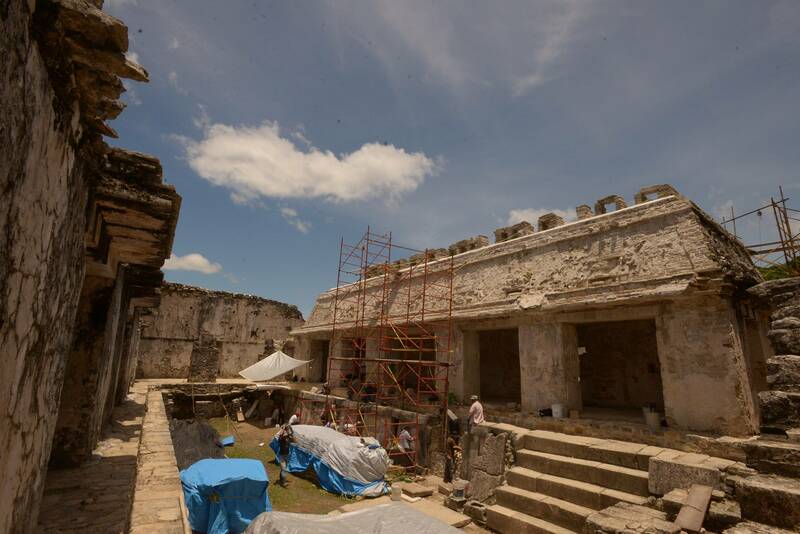 More than eight feet under the surface, archaeologists found an ancient chamber tomb entirely intact and undamaged by looters or faulty irrigation. It had been dug out of the soft limestone. Access to the chamber was provided by a vertical tunnel that was then sealed with clay masonry. The tomb is 13 feet long with a vaulted ceiling and is divided into three carved niches each with its own funerary arrangement. 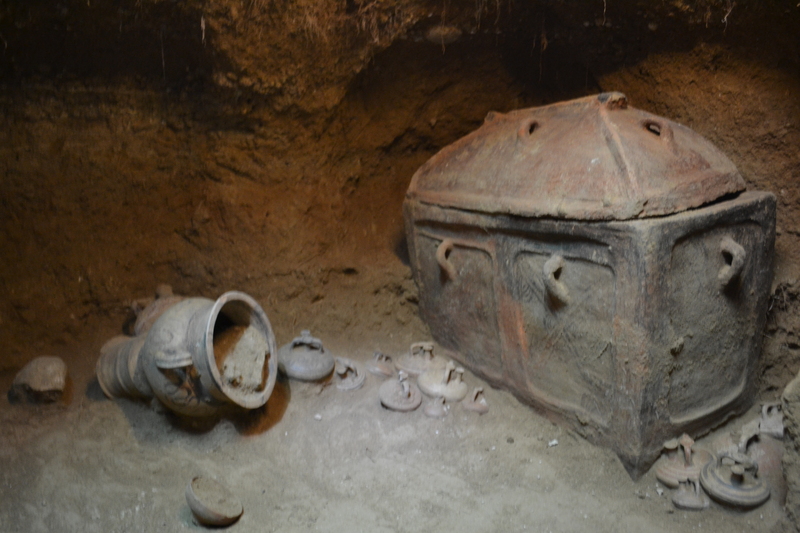 In the southernmost area was a large covered larnax, a chest used as a coffin in the Minoan and Greek Bronze Age. When archaeologists lifted the cover, the saw the articulated skeleton of an adult. In the second niche just in front of that larnax were a group of pottery vessels: 14 small ritual amphorae and a large krater (used to mix water and wine). The third niche in the northernmost area of the tomb held another larnaca. This one was broken and had no cover. Skeletal remains were found inside of it, but the skeleton was eroded after having been exposed. In front of the coffin were another 8 vases, six of them ritual amphorae. All of the ceramics are intact and in good condition. 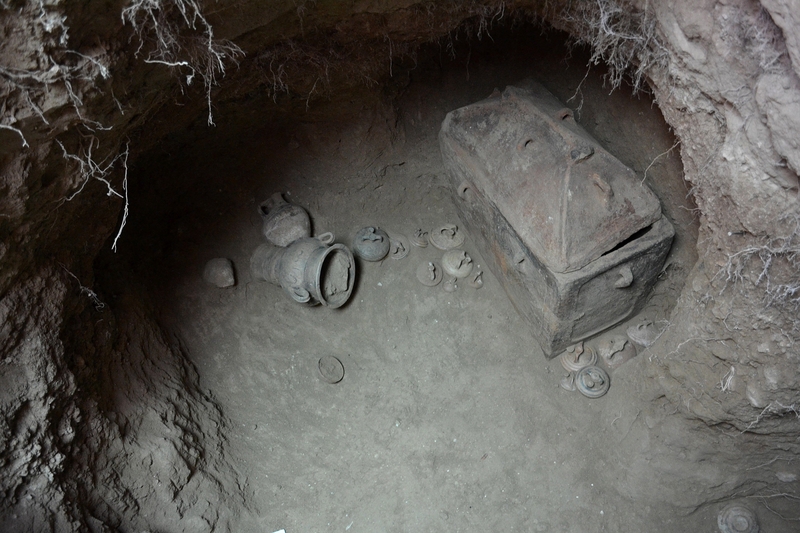 Enough so that experts were able to date to the tomb based on the ceramic typology. It dates from 1400 to 1200 BC, the Late Minoan IIIA-B period. 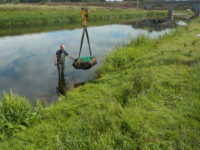 “The positive thing is that they were not emptied by thieves and this will help archaeologists get as much information as possible. This is a great day for Ierapetra. When you see that in a 4 meter hole there are such important antiquities you feel awe,” Argyris Pantazis, deputy mayor of Local Communities, Agrarian and Tourism of Ierapetra, told cretapost. 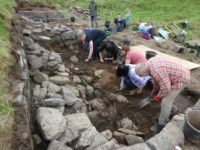 An excavation at the ruins of Dunyvaig Castle on Islay, in Argyll, Scotland, has unearthed a rare 17th century artifact: the seal of Sir John Campbell of Cawdor. 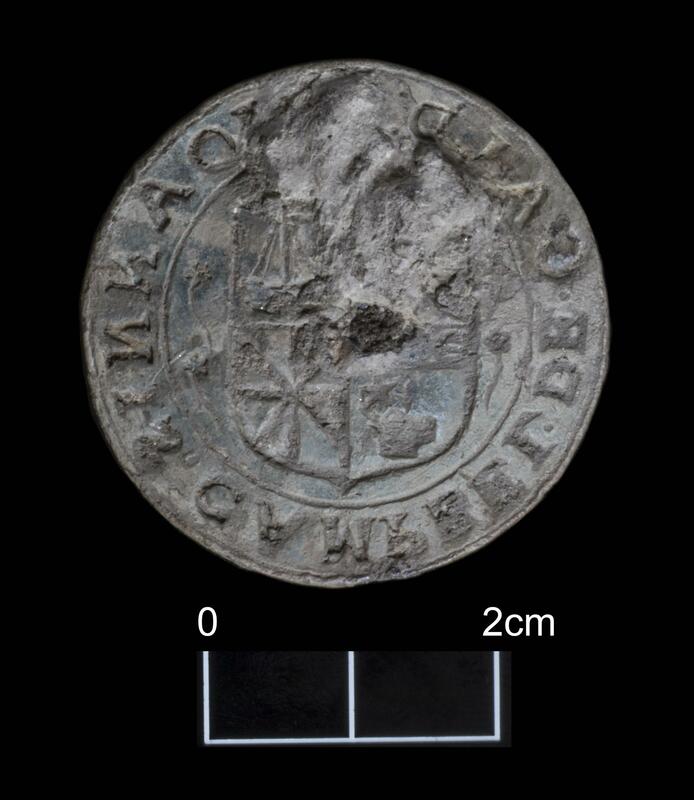 The lead seal bears the Cawdor coat of arms with a stag head and a galley on the obverse, and is inscribed “IOANNIS CAMPBELL DE CALDER.” On the reverse is the date 1593 and the initials DM. It was a student who found the object. 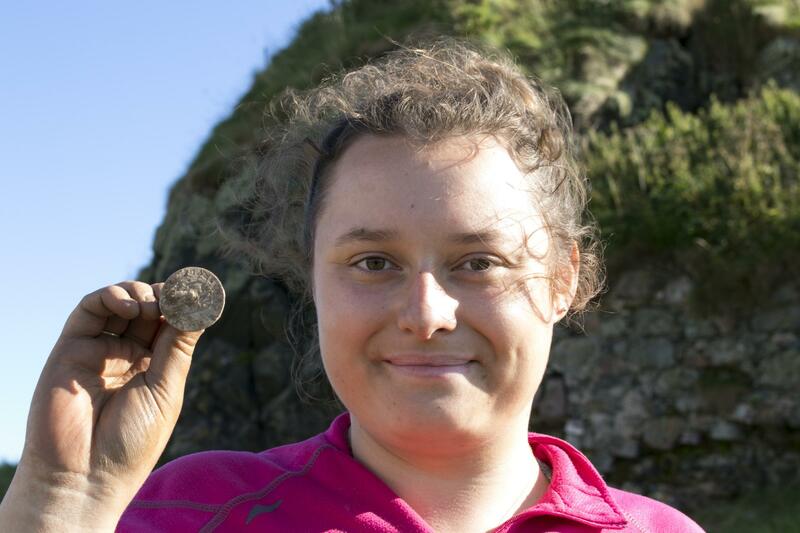 University of Reading undergraduate Zoë Wiacek was one of a team of 40 archaeologists, other scientists and students who have been excavating the site for three weeks as part of a yearly summer school dig on the island. 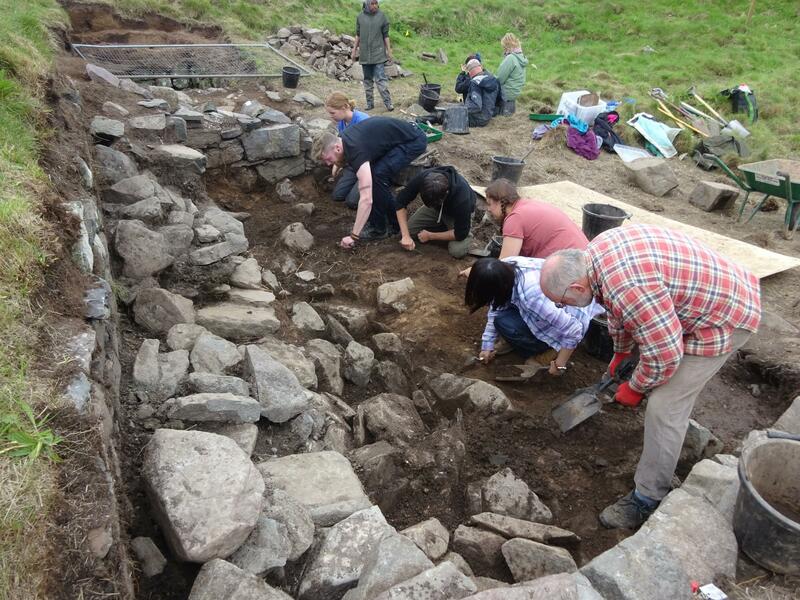 Towards the end of the dig, Wiacek discovered the seal under the rubble of a collapsed stone wall. She realized it was significant but did not know what it was. 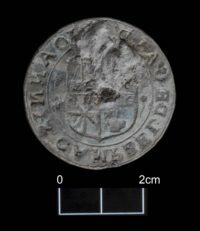 When the lead circle was removed and the soil brushed off, the inscription identifying it as Sir John’s seal was revealed. Originally built in the 13th century, very little of the original structure remains. What’s left today is largely the 16th century castle built by the Clan MacDonald of Dunnyveg. Sir John Campbell came to own it several decades later in 1612, when Angus MacDonald sold him Dunyvaig and several other family holdings on Islay. Some of the MacDonald family were not in agreement with the laird’s choice. They occupied the castle and made Cawdor fight for it. He didn’t take possession until 1615. 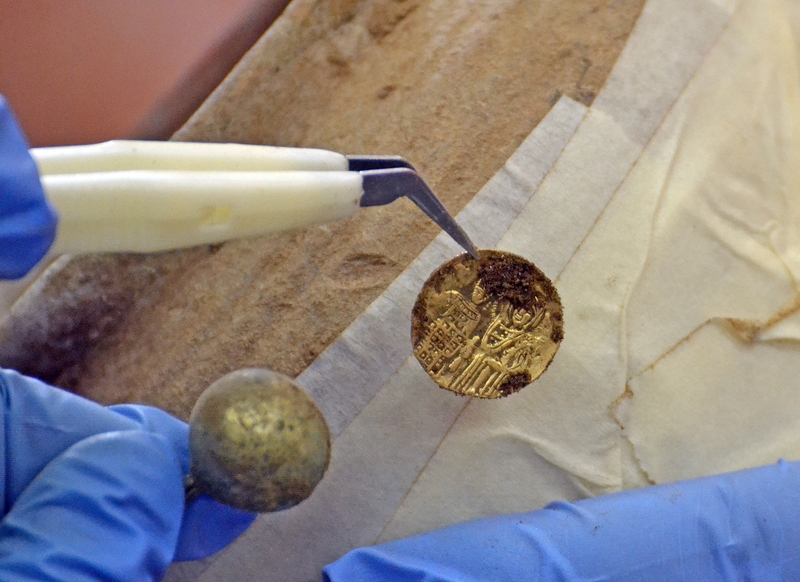 Given the date of the seal, it’s possible it was lost during those three years of sieges and battles. It could also have been lost in the chaos of another fight 30 years later. 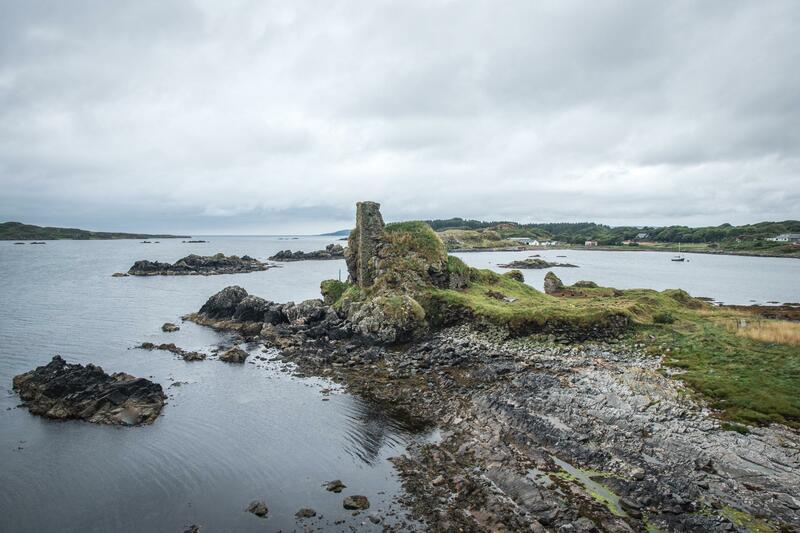 In 1646, MacDonald descendant Alasdair MacColla took the castle, leaving his 76-year-old father Colla Ciotach in charge of defending it against the inevitable Campbell counterattack. He did the best he could, erecting new turf walls over the collapsed masonry walls and holding on to the castle until 1647 when he was defeated and executed by hanging from the castle walls. Sir John Campbell of Cawdor was dead by then, however. He died in 1642. If the seal was lost in the 1646 raid, it would have been an heirloom rather than a legal signature. 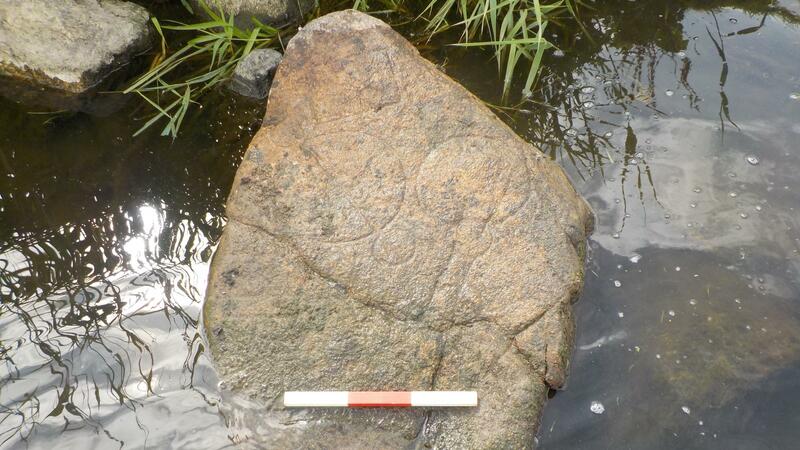 Archaeologist Dr Darko Maricevic, director of the excavation at Dunyvaig, said: “This is a remarkable find. Not only is it a beautiful and well-preserved object, but it comes from the floor of a building that we can now confidently date to the Campbell occupation. The rare cartoon of the Boston Tea Party printed by engraver and soon-to-be convicted counterfeiter Henry Dawkins sold at auction on Saturday for $37,500. 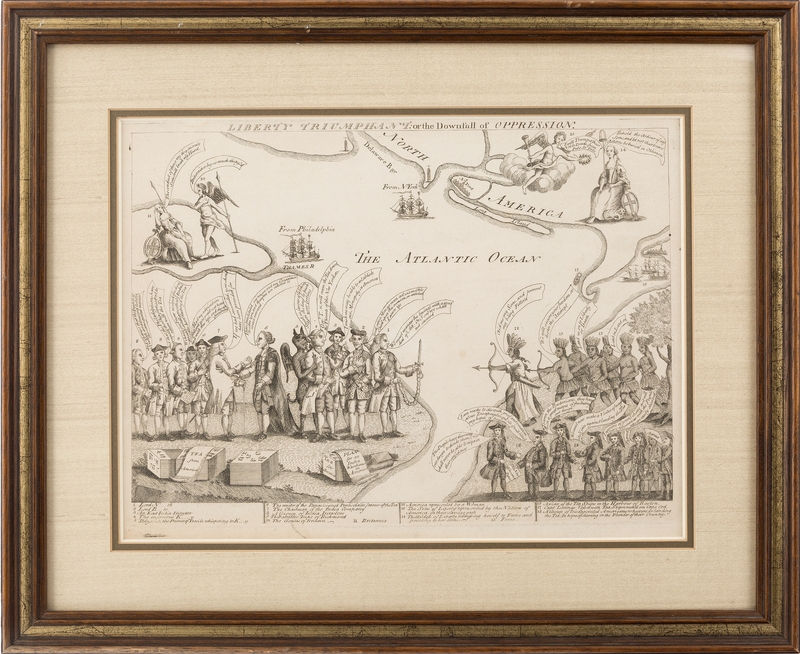 One of only seven known copies, “Liberty Triumphant or the Downfall of Oppression” was published in the immediate wake of the act of rebellion which saw members of the secret organization Sons of Liberty dump more than 92,000 pounds of East India Company tea into Boston Harbor on the night of December 16th, 1773. The exact publication date is not known, but it was after December 27th, 1773, and before April of 1774. The condition of this copy is excellent. The last one to come up for auction was not. It had stains, tears, had been mounted to a board and the title was missing. Even so, it still sold for $27,000 because of the rarity and historical significance of the piece. It’s no surprise that such a clean, intact print sold for $10,000 more than that. Bidding opened at $18,000. Two minutes later it was all over. HA captured the fast-paced excitement on video so you can watch it all go down. 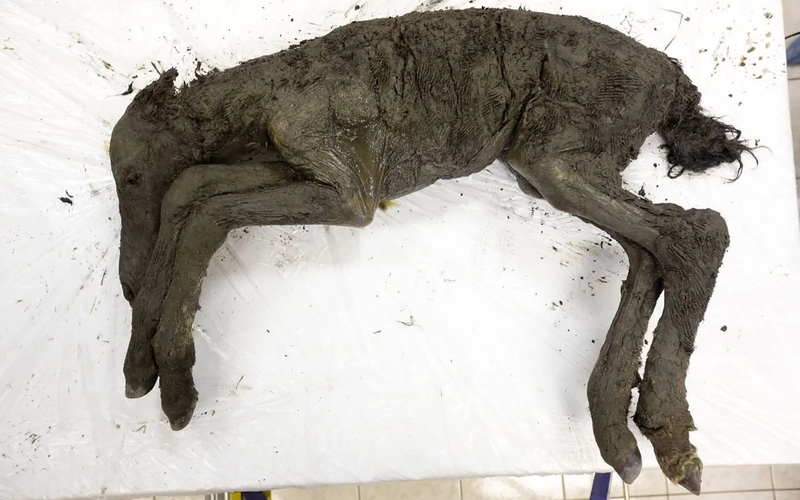 The remains of an eerily intact foal has been discovered in the melting permafrost of Siberia. Preserved in the ice for tens of thousands of years, the baby horse was found by paleontologists from Yakutian North-Eastern Federal University in the Batagaika crater in Yakutia, Russia. Scientists identified the foal as a Lena Horse, a species that inhabited the area 30,000-40,000 years ago and has no genetic link to the freaking adorable wild horses that roam Yakutia today. The little fella was two months old when he died. There is no physical evidence on his body of what caused his premature death. As a matter of fact, there are no blemishes of any kind, no decay, no damage from scavengers, no tissue loss, not even hair loss. Its ears, tail, nostrils and nostril hairs are untouched by the passage of 40,000 years. Researchers at the North-Eastern Federal University were able to collect a wealth of samples from this perfectly intact horse. They took hair, tissue and fluid samples from the foal and detailed measurements. The foal is 39 inches high at the withers. The research team also took samples of the soil covering the find site. “We’ll study content of its bowel to understand the foal’s diet. The autopsy will be carried later”, said [head of Yakutia Mammoth museum Semyon] Grigoryev. In this trap scenario, the foal would have fallen into water and drowned. The water would then have quickly frozen over, preserving the benighted creature in perfect condition. Here’s a short video of the research team examining the foal. The closeup of a cut in the skin where a sample of tissue was removed at the 1:29 mark is something else. 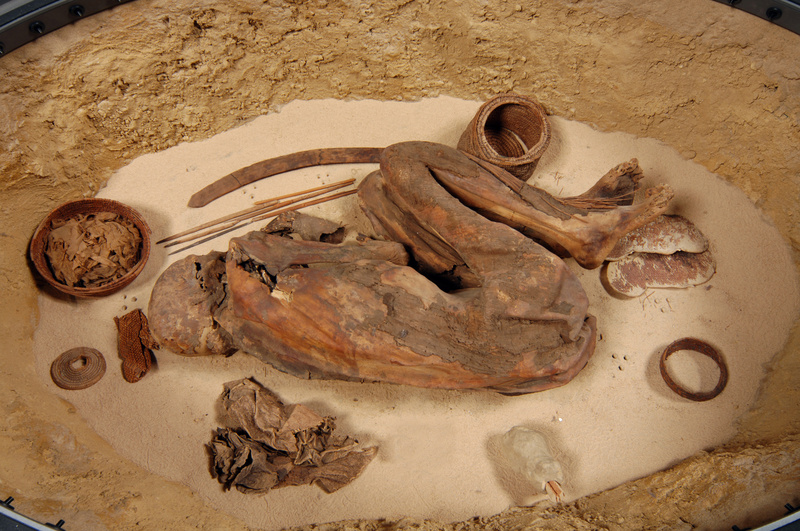 Egypt’s hot, dry desert climate preserved dead bodies long before the advent of artificial mummification. It was long believed that predynastic mummies curled in their characteristic fetal position, were all the product of natural causes, desiccated by the hot sands in which they were buried. 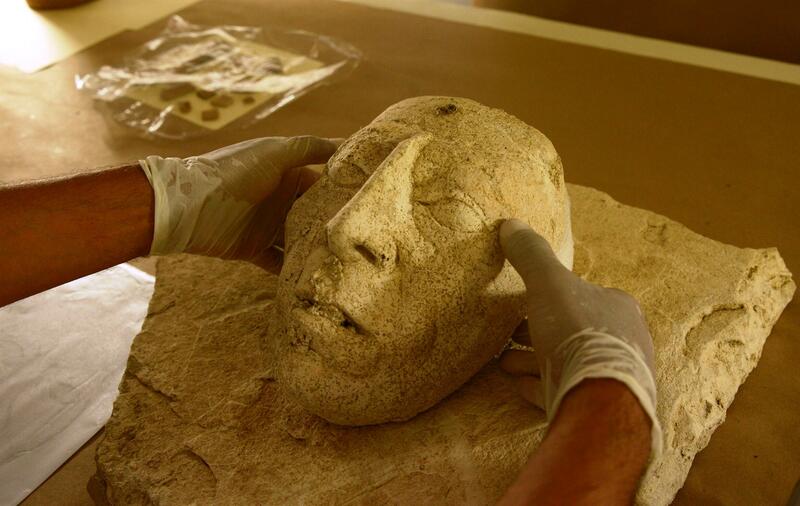 A new study has found that a predynastic mummy of the Naqada I (3900-3700 B.C.) 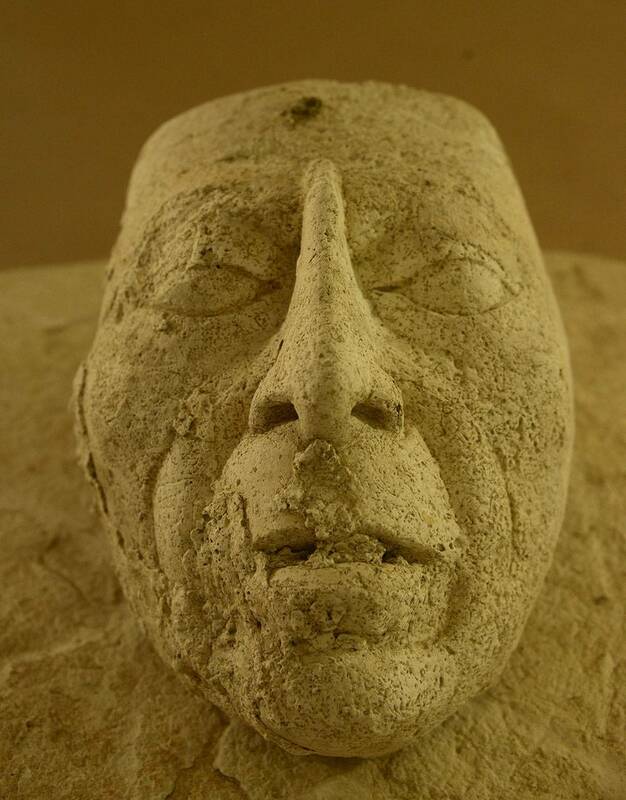 period in the collection of Turin’s Museo Egizio was enbalmed, not naturally mummified. 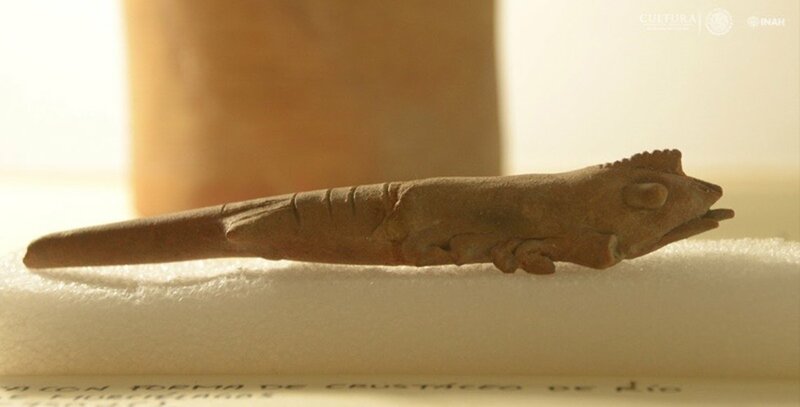 That makes him the earliest known example of Egyptian mummification, embalmed 1,500 years before the time when the practice was previously believed to have begun in Egypt. The mummy, affectionately known as Fred, was acquired in 1901 by renown Egyptologist Ernesto Schiaparelli who a few years later would go on to discover the tomb of Queen Nefertari at Deir el-Medina. It’s not certain where it came from; the most likely candidate is Gebelein. Schiaparelli was the director of the Museo Egizio for decades and the mummy has been in the museum’s collection since its acquisition. It has never been conserved or treated with modern materials, nor has it been subjected to scientific testing. 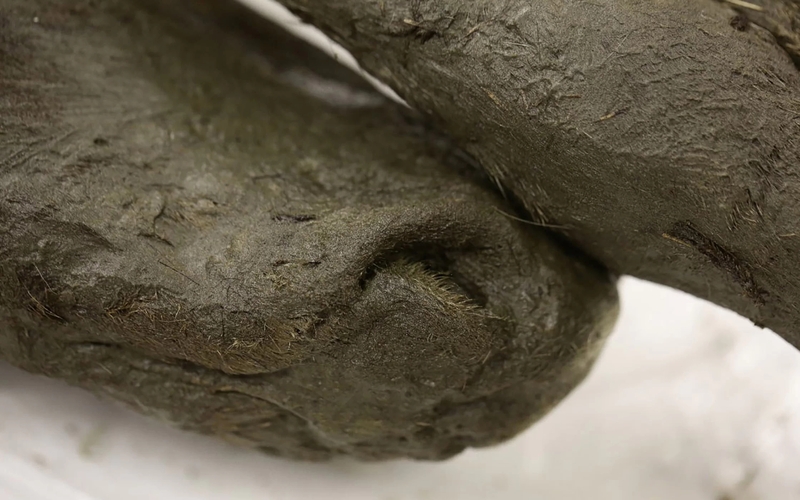 That’s incredibly rare with mummies of any kind — archaeologists, amateurs, collectors used to tear into them with unfortunate gusto back in the day — and predynastic mummies are already far rarer than pharaonic ones. It was this unusual lack of interventions which made the Turin mummy a unique opportunity for researchers to examine for evidence of deliberate mummification techniques. The team had already spent years studying impeccably-provenanced linen wrappings found in early Egyptian pit graves. 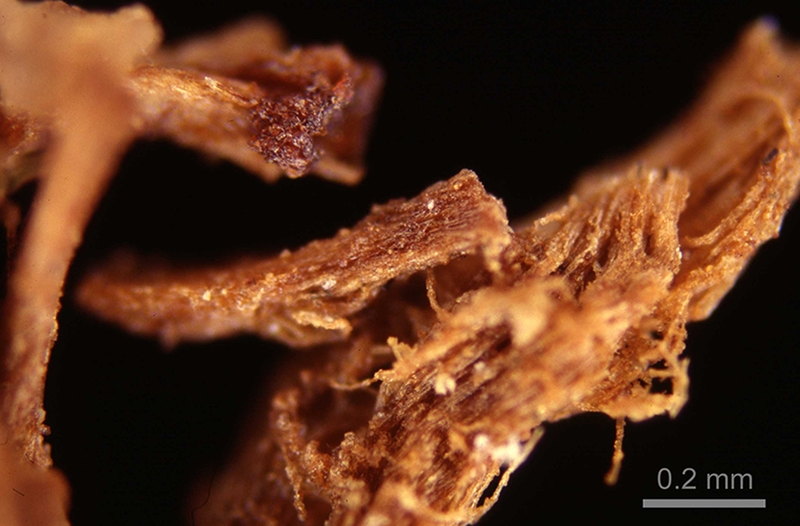 Examination under a microscope revealed the presence of a toffee-like substance that subsequent chemical tests identified as pine resin, plant gum, a natural petroleum and fat. These same materials were used 3,000 years later at the peak period of Pharaonic mummification. Those results were exciting, but they were not entirely convincing because the linens were not attached to any mummies. They were recovered on their own, and while the dating was solid and the discovery recognized by scholars as authentic, the materials could not be conclusively linked to a mummified individual and therefore could not be said to be an example of pre-pharaonic mummification practices. Fred, on the other hand, was the ideal mute witness. The researchers sampled linen fragments from the mummy’s torso and right wrist, as well as from a woven basket that had been buried alongside the remains. Plant oils and animal fats permeated the ancient fabric, and the scientists pieced together an embalming “recipe” from the compounds that they found, which included sugar or gum, conifer resin, aromatic plant extracts, and antibacterial agents. These ingredients were in similar proportions to those found in balms used during the dynastic period, according to the study. The Turin mummy is so old that it even predates written language (the earliest known evidence of writing dates to about 3400 B.C.). 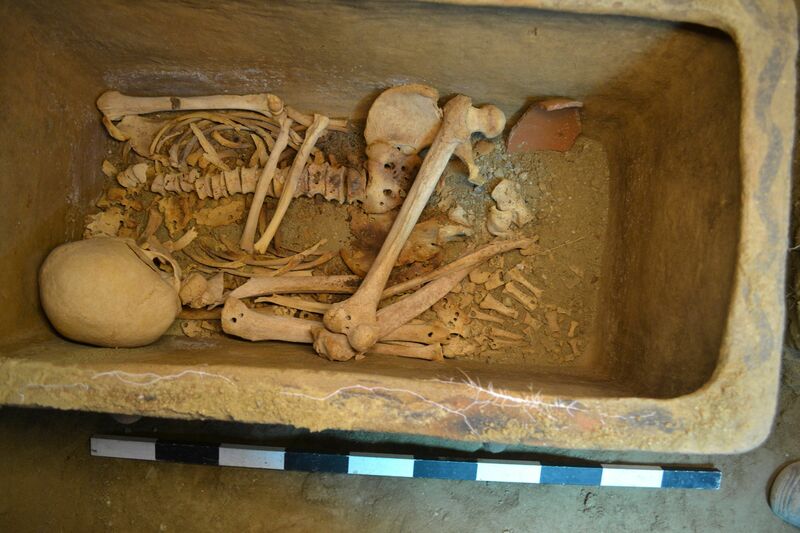 So, it’s likely that the embalming instructions were preserved verbally “and passed down through generations,” [study author Jana Jones, a research fellow with the Department of Ancient History at Macquarie University in Sydney] said at the briefing. 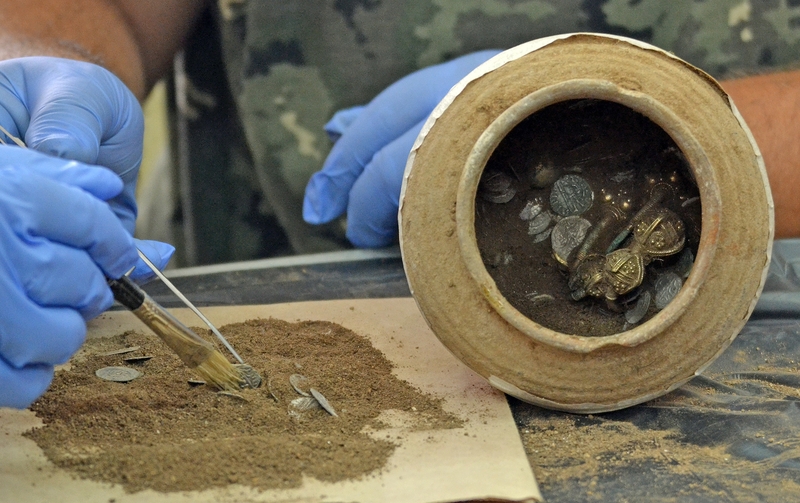 An excavation of the Kaliakra Fortress on the coast of the Black Sea in northern Bulgaria has unearthed a small clay pot full of coins, jewelry and other valuables hidden under a floor in the Middle Ages. 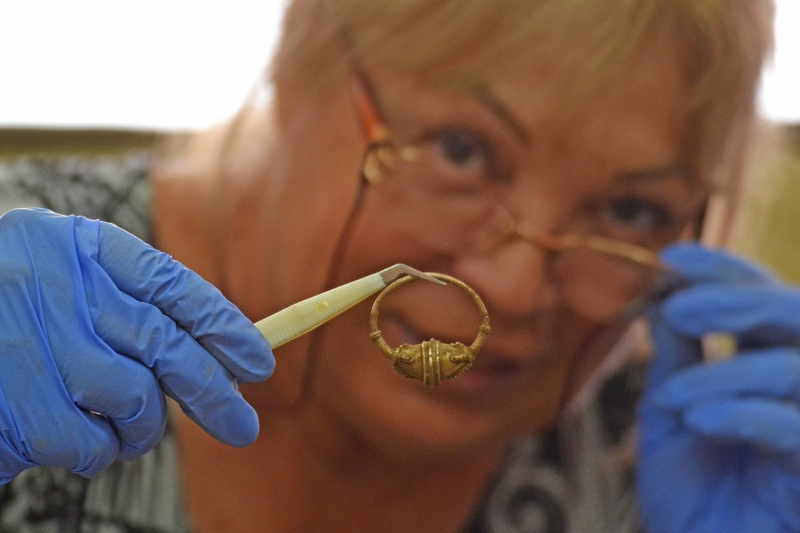 A team of archaeologists headed by Bonnie Petrunova, director of the National History Museum (NHM) in Sofia, discovered the pot on August 17th, 2018, in a room that was burned in the 14th century, conveniently providing the outside date range for the burial of the hoard. 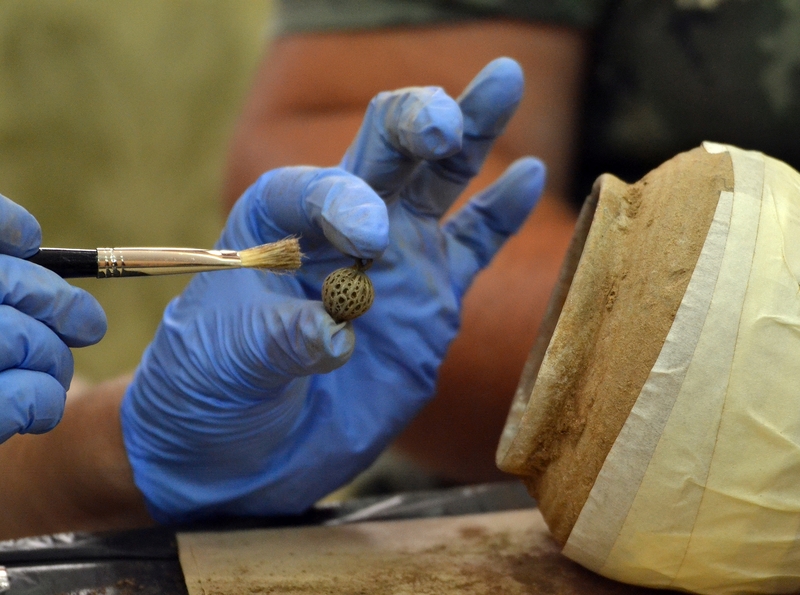 The pot, filled with soil as well as treasure, was moved to the NHM to be excavated in laboratory conditions. 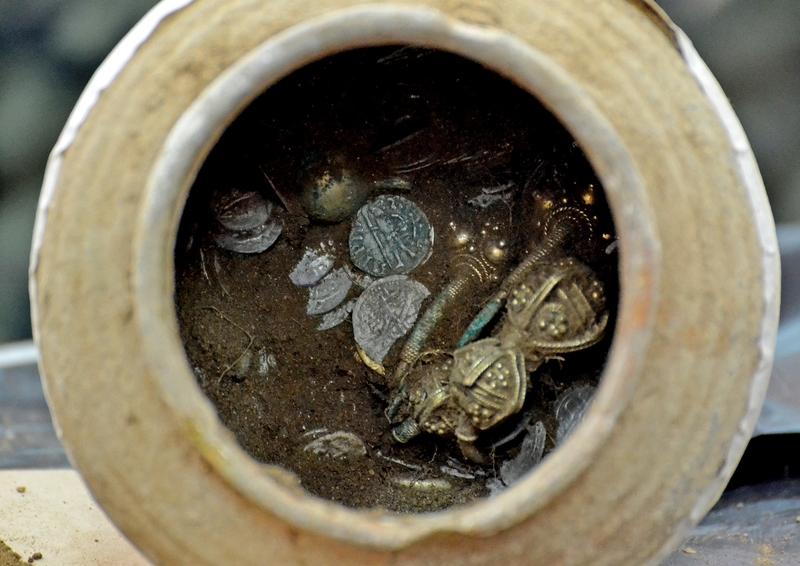 After painstaking removal of the soil, archaeologists found a total of 957 objects: 873 gold and silver coins, 11 fittings and buckles, 28 silver and bronze buttons, 11 gold earrings, one gold ring, a second metal ring and four gold beads studded with gems. The coins include both Ottoman and Bulgarian silver issues. A majority of them, about 60% of them are Ottoman. Most of that 60% date to the reign of Sultan Bayazid Yildirum (1389-1402). A fraction of them are older, dating to the reign of his predecessor Murad I (1362-1389). Of the Bulgarian coins, 25% were minted under the reign of Ivan Alexander (1331-1371). They are very small, a symptom of the economic crisis in Bulgaria at the time. There are nine coins minted in Vidin by governor John Sratsimir. A few Byzantine silver pieces are also in the mix, including several very rare hyperpyroni. The gold coins, much fewer in number, include 20 gold hyperpyroni of the Byzantine Empire, one the last gold coins issued of the empire. They are so debased and flimsy that it’s hard to identify them. Experts have been able to spot John V Palaiologos and his mother Anna of Savoy (regent during the minority of her son from 1341 until 1347), John VII Palaiologos, Andronikos II Palaiologos and Andronikos III Palaiologos on the obverse of some of them. There are also eight high quality Venetian gold coins, the classic Zecchino d’Oro, each made of 3.5 grams of 24-carat gold. Most of them were issued by Doges Marco Cornaro (1365-1368) and Andrea Dandolo (1343-1354). The date range of the coins coincides with the evidence of the torching of the space to confirm the treasure pot was hidden under the floorboards at the end of the 14th century, a turbulent period in the history of the fortress who political fortunes are reflected in the coinage. The area was part of the Despotate of Dobruja, an autonomous principality in the fractured Bulgarian Empire. Under the control of Dobrotitsa, who gave himself the title “Despot,” the principality achieved its greatest power and territorial extent. Dobrotitsa made Kaliakra his capital and deployed his navy on the Black Sea in alliance with Venice against Genoa. He fought Murad I, who by the end of his reign would conquer much of modern-day Bulgaria. Dobrotitsa’s son Ivanko changed his father’s policy as soon as he ascended the throne in 1386, signing a peace agreement with the Ottoman sultan, another with Genoa and moving the capital from Kaliakra to Varna. The changes did not lead to stability and in 1388 Ivanko was killed fighting the Ottomans at Varna. Mircea I of Wallachia stepped into the vacuum of power and Wallachia, former vassal state of Dobruja, ruled the principality off and on until the Byzantine Empire took over in 1413. To all this political instability and conflict, the Tartar invasions added yet more. A chronicler of the late 14th century records how the Tartars invaded Varna in 1399. Other Black Sea coastal towns also suffered their wroth, Kaliakra among them. It’s possible that the hoard was actually buried by a Tartar, in fact. The objects appear to have been collected from different people in one event rather than accumulated by a single individual over time. The Tartars of Aktav held the fortress in 1401 when they were defeated and dispatched. As the house in which the treasure was buried is a high-end one, it’s conceivable that a Tartar commander sequestered it for himself and was living there when the 1401 attack drove him out and burned down his dwelling. You may have noticed there was a bit of technology hiccup earlier today which disabled the site for a few hours. It was an IP address problem which has now been corrected. Regular programming will resume tomorrow. Because I hate to leave y’all jonesing for your daily history fix, here’s a quick shot in the arm courtesy of Historic Royal Palaces. After a long period of neglect and decay left it closed to the public for decades, the Great Pagoda at Kew Gardens has been fully restored to as close to its original 18th century splendor as possible. 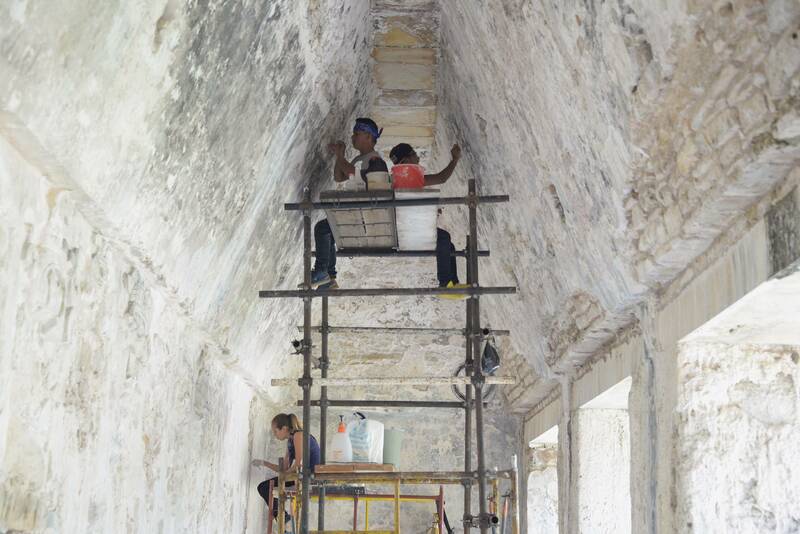 The holes cut through its roofs for bomb testing during World War II have been repaired. The 80 dragons that have been lost for two centuries are back, a product of the efforts of 3D printing technology and fine wood carving craftsmanship. The results leave nothing to be desired, and visitors can now drink in two spectacular views: the top-notch revival of a sadly forlorn monument and London from on high.